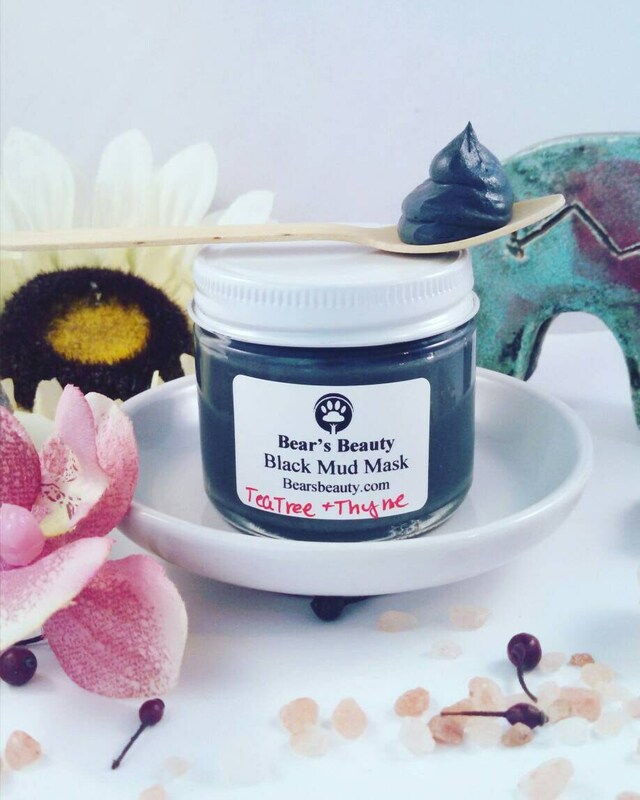 CARBON DETOX MASK | Activated Charcoal + Bentonite Clay + Witch Hazel + Essential Oils = Intense yet gentle detox for stressed skin. Also available NAKED, without essential oils. If you are anything like me, sometimes you just want to hit a "RESET" switch on your skin. Environment, hormones, makeup, and general day to day activity can leave your skin looking dull and your pores looking huge. I was tired of masks that were packed with chemical junk that clogged my pores or did nothing at all. Activated Charcoal (draws impurities) + Bentonite Clay (absorbs impurities) come together to deeply detox without irritation in this powerful Carbon Mask. Use this mask once a week for normal to dry skin and as often as every other day for oily or acne-prone skin concerns. This is basically a magnet. Helps quickly reduce the look of swelling and inflammation associated with breakouts. Great for anyone with clogged pores. I also use this mask to take the itch out of bug bites and rashes. So, before I figured out that shampoo was breaking me out, I used to get really painful pimples on my back and shoulders. Gross, I know. I use a trick for spots that tends to reduce the pain and bring them to the surface faster. I cover the spot in a thick layer and then take a cotton round and stick it right to the spot. The cotton pad keeps the mask from getting all over your clothes. I sleep with it on, or repeat the process a few times through the day. This is a great option for the pimple that pops up right before a big meeting or event. You can use this mask anywhere on your body. Tea Tree + Thyme + Lavender + Geranium work to soothe and detox stressed skin and senses! Allow to partially dry, but not totally dry. I prefer applying this to T-zone and congested areas, avoiding smile lines and too close to eyes. Lay a damp cloth over skin to soften, and gently remove OR Rinse off in the shower. Follow with Toner + Serum + Moisturizer. I like to use the Blue Aloe Cleansing Gel.